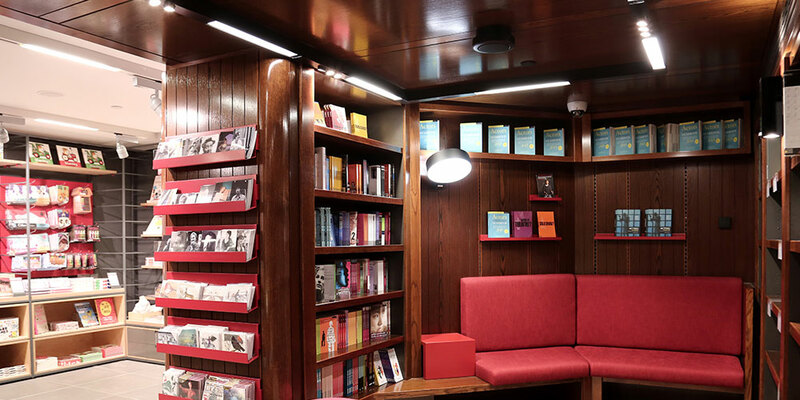 Located on the ground floor of the Lyttelton foyer opposite the main entrance, the new bookshop at the National Theatre features a dedicated reading area, a 20m-long wall of books, together with touchscreen technology. Lumsden Design was appointed as interior designer, with into lighting as lighting design consultants. 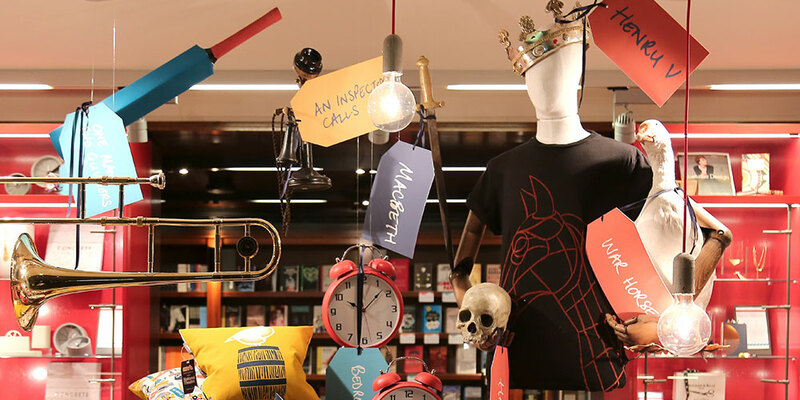 The brief was to reference key elements of Denys Lasdun’s iconic architecture and interior while creating a retail space to showcase the National Theatre’s new gift range, vast collection of theatrical books and wide selection of products supporting each production. Optelma worked with into lighting to create a bespoke linear luminaire that would help to achieve this vision. The design of the interior is bold with a material palette of dark wenge, grey engineered coloured wood and red lacquered oak, contrasting with the concrete walls and floors. Optelma’s made-to-measure profile, Quad 62, in anodised and black, adds to the clean, elegant design, providing a direct lighting solution, with wall-washing provided by asymmetric reflectors. 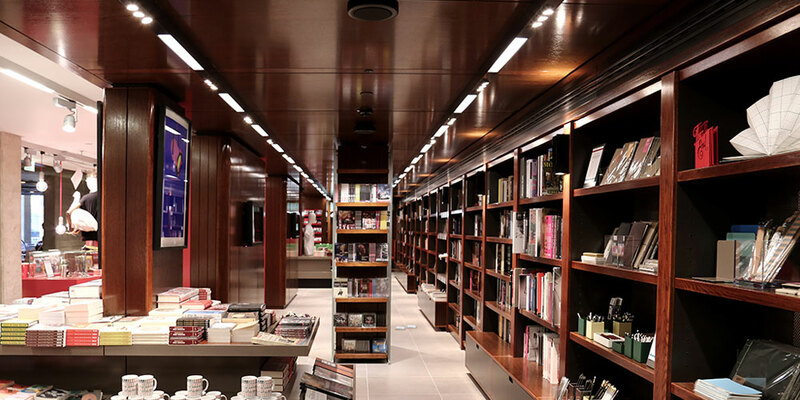 The result is a scheme with excellent performance and glare control, which assists in delineating the space and drawing people into the store.